The Funnel Ball Toss with Steel Post Playground Game consists of a funnel labeled 1-3, a powder-coated steel post, and three balls (sold separately) one of each color — blue, green and yellow. Kids toss the ball into the funnel top opening and makes its way out of one of the three exit holes. Game is scored based on the hole the ball exits through. 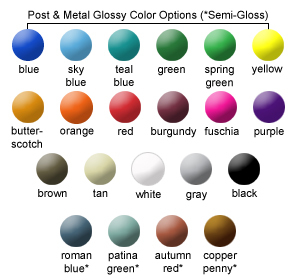 Steel post is powder-coated in your choice of 21 colors. 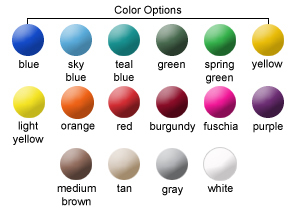 Fade-resistant, rotomolded plastic funnel is available in 16 different colors. 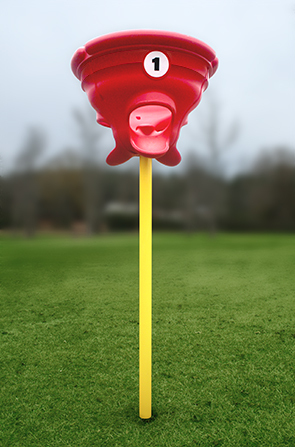 The Funnel Ball Toss with Steel Post Playground Game promotes exercise, group interaction, and is fun for the whole family. Powder-coated with a 5-7 mills thick, triple flo-coated corrosion protection for a superior, high gloss, no peel, no flake finish. Manufactured for commercial use and tested in accordance with ASTM standards. Assembly and in-ground installation required.